TWO LADS cycle 160km on stolen bikes, pursued by gardaí, desperate to find a missing bale of cocaine worth €7 million. This is The Young Offenders, “the best Irish film I’ve seen in years," according to Ryan Tubridy. The Young Offenders, the new Irish comedy film inspired by Ireland's biggest cocaine seizure, worth €440 million in 2007, will receive its world premiere as part of the Galway Film Fleadh, in the Town Hall Theatre tomorrow at 8pm. It was written and directed by Peter Foott, and stars Alex Murphy, Chris Walley, PJ Gallagher, and Hilary Rose. 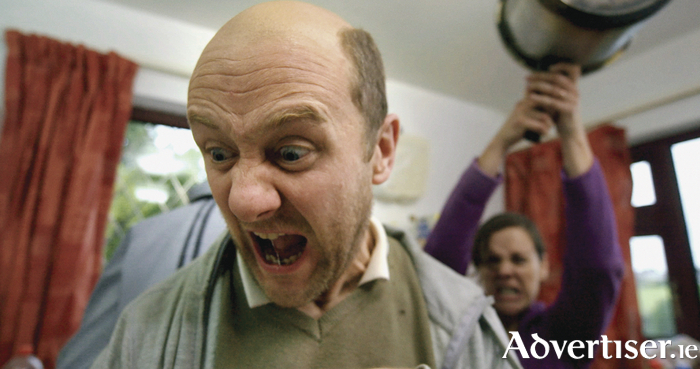 Jock is bike thief who plays a daily game of cat-and-mouse with the bike-theft-obsessed Garda Sergeant Healy. When a drug-trafficking boat capsizes off the coast of Cork and 61 bales of cocaine are seized, word gets out a bale missing. Jock and his mate Conor steal two bikes and go looking for the missing bale, but Sergeant Healy is in hot pursuit.